‘Imaginary Landscape No.1’ is a composition made out vocal sounds and field recordings from Het Stenen Hoofd, along a busy water route in Amsterdam. The recordings are mimicked, filtering the sonic landscape through the voice. 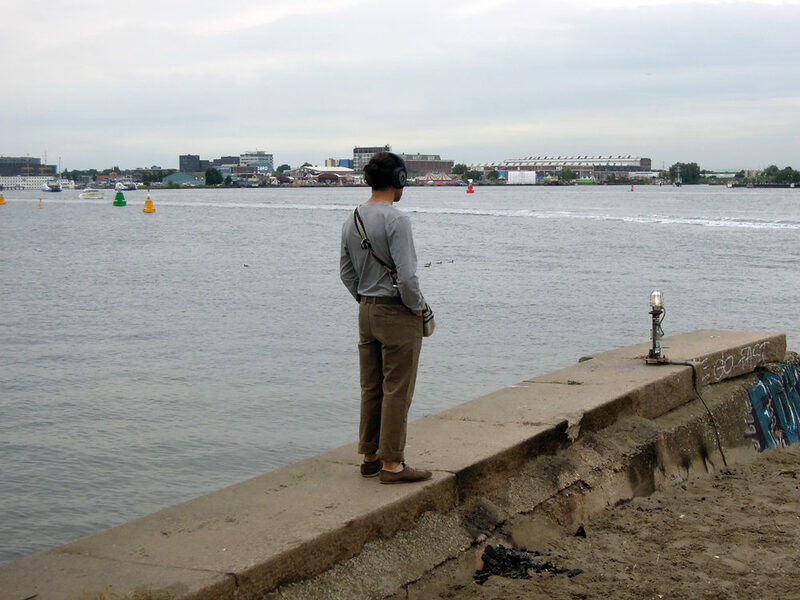 The identity of the sounds blur, which refers to the blurring identity of what a wasteland in The Netherlands can be. Because this piece of land isn’t waiting for a new function: it is used by a group of locals organizing events. In this way the wasteland is more of a platform for cultural activities with the mask of a no-man’s land. > Presented on wasteland Het Stenen Hoofd, Westerdoksdijk, Amsterdam and during the event ‘Recreation Ground’, W139, Amsterdam. > Commissioned by Wasteland Twinning Network & ECF. 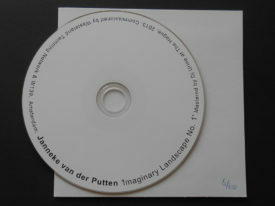 > Edition of 100 copies, 2013.